Stocked materials include Viton™, PEEK, Nitrile and Teflon™. 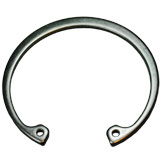 These are also referred to as back up rings. Rubber and metal reinforced rubber centralizer fins available for a variety of MWD systems. Custom manufactured centralizer fins are also available. 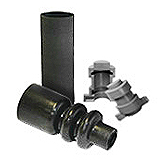 Custom manufactured ceramic parts to improve wear, prevent erosion or to provide electrical insulation. Stocked parts include Bore Sleeves, Poppets and Orifices. 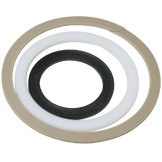 Custom manufactured EM electrical isolation rings available in ceramic, composite and PEEK materials. 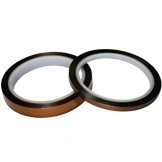 Polyimide is an excellent tape material for applications with temperature extremes. It can be used in temperatures up to 500°F/260°C, and as low as -452°F/-269°C. With its high dielectric properties Polyimide Tape is widely used by the MWD industry and aerospace industries, and conforms to MIL-P-46112, TYPE I . The Silicone adhesive used on the tape ensures that it does not leave any reside behind when removed. Stocked in 1/2, 3/4 and 1" widths. Piston caps and poppet bolts for our two piece signal shaft poppet tips. 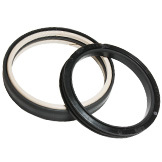 Viton® O-Rings sold individually or in handy 10 packs. Additional materials stocked include Nitrile, Hydrogenated Nitrile (HNBR), AflasT, Teflon™, EPDM, Neoprene, Silicone and Fluorosilicone. Our high flow oil-housing screen is made from a heat treated stainless steel. The material is designed to resist wash, and the hole slots are designed to increase flow through the screen. 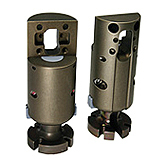 The increase in flow is accomplished through larger chamfered slots. These screens allow protection from large wellbore debris but will not pack off like standard designs where high LCM is a concern. Custom sizes available upon request. 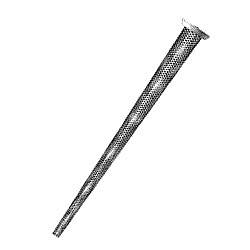 Our MWD pipe screens are made from 304SS with the collars and spear points made from 17-4HT steel. The screens then go through a QPQ process, which further enhances the strength of the pipe screen. These screens are designed to resist wash in the harshest down hole environments. Materials stocked include Viton™, HNBR, bronze filled PTFE and Hytrel®. 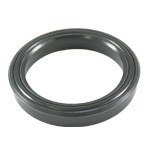 Retainer ring materials include stainless steel, carbon steel and beryllium copper. 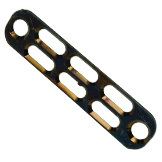 Spring pins available in various stainless steel materials. 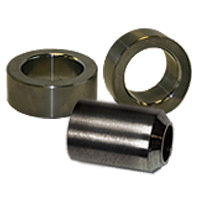 Hi-Tech Seals offers two-piece snubber assemblies for battery, electronic and gama connections. 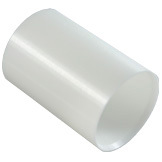 The assembly comes with our silicone snubber shells and is a direct replacement for one-piece snubber assemblies. 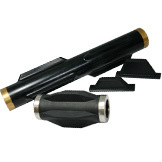 The use of the shells eliminates the need to have snubbers re-injected with silicone saving time and money. Compensation Membranes, Snubber Inserts and Bellows. 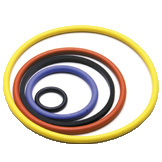 Sealing materials include Viton™, HNBR & Nitrile in combination with PEEK, PTFE, or Nylon anti-extrusion rings. 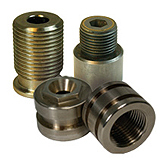 Custom parts including poppets, main orifices, rotors and stators.